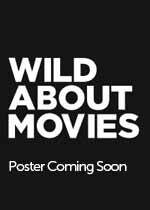 Wild About Movies provides you the most up-to-date 2008 Movies information online. Our list of movies in theaters in 2008 is even more accurate than the IMDB database. Click on any of the 2008 movie posters images for complete information about all 2008 movies in theaters, including trailers. We provide the complete list of 2008 movie releases by week of release. Of all 2008 Movies, it was The Dark Knight that took the #1 spot at the box office. It became one of only four movies in the history of time to take in more than $500 million at the U.S. box office, alone. Iron Man came in at #2 at the box office with just over $318 million, with Indiana Jones And The Kingdom Of The Crystal Skull taking the #3 spot with $317 million. The Oscar for Best Picture went to Slumdog Millionaire. Its director, Danny Boyle, took the Best Director Oscar. Sean Penn won the Best Actor Oscar, while Kate Winslet won the Best Actress Oscar for The Reader. Heath Ledger picked up an posthumous Best Supporting Actor Oscar for his role as The Joker in The Dark Knight. And Penelope Cruz won the Best Supporting Actress Oscar for her role in the Woody Allen film Vicky Cristina Barcelona. The year is 2700. If you're dyslexic, that is not 2007. See the homepage for the latest movie news. .